One of the five possible permanency plans that the Division of Child Protection and Permanency can propose for your child at a Permanency Hearing is Termination of Parental Rights (“TPR”). It is important to note that the Court cannot actually terminate your parental rights during a Permanency Hearing but rather can only approve the plan that will then permit DCP&P to file a Guardianship Complaint and ultimately request termination of your parental rights after a termination of parental rights trial. If you are scheduled to attend a Permanency Hearing and DCP&P will be presenting the permanency plan of Termination of Parental Rights, it is imperative to contact a knowledgeable DCP&P defense attorney to discuss your case. Contact the DCPP defense lawyers at the Tormey Law Firm for immediate assistance at (908)-356-6900. Our seasoned trial lawyers know how the system works and how to best protect your rights in these cases. If you or a loved one has an issue with child protective services in New Jersey, don’t wait. Contact the Tormey Law Firm today at (908)-356-6900. We represent clients throughout Middlesex County NJ including in Edison, Piscataway, Old Bridge, and Woodbridge and the initial consultation is always provided at absolutely no cost to you. One of the five possible permanency plans that the Division of Child Protection and Permanency can propose for your child at a Permanency Hearing is Termination of Parental Rights (“TPR”). It is important to note that the Court cannot actually terminate your parental rights during a Permanency Hearing but rather can only approve the plan that will then permit DCP&P to file a Guardianship Complaint and ultimately request termination of your parental rights after a termination of parental rights trial. If you are scheduled to attend a Permanency Hearing and DCP&P will be presenting the permanency plan of Termination of Parental Rights, it is imperative to contact a knowledgeable DCP&P defense attorney to discuss your case. For the Court to approve the permanency plan of termination of parental rights, the Court must find by a preponderance of the evidence that reunification with the parent is not safe or would not be safe in the foreseeable future. In addition, the Court must find that DCP&P provided reasonable efforts to address the issues that initially caused the Division to take custody of the child. Most importantly, the Court must find that termination of parental rights is, in general, an appropriate plan. In other words, the Court will determine whether or not termination of parental rights will afford your child with a chance for a safe and stable permanent home through adoption. For example, if your child is residing with a relative that is not willing to adopt, but willing only to become a Kinship Legal Guardian, then adoption would not be the appropriate permanency goal for your child. Or if your child is sixteen years old and adamantly does not wish to be adopted, then adoption may not be the appropriate permanency goal for your child. 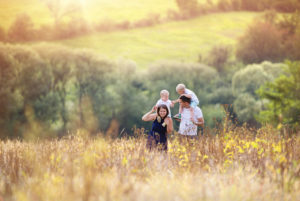 Another factor of whether or not termination of parental rights is the appropriate plan is whether or not a prospective adoptive parent is already identified. But, that is not dispositive and there are situations in which despite there being no identified adoptive parent, the availability of select home adoption will permit the Court to approve the plan of termination of parental rights. If the Court approves the permanency plan of TPR, DCP&P will then have to file a Guardianship Complaint against you and, eventually, prove during a Guardianship Trial by clear and convincing evidence that your parental rights should actually be terminated. As with all DCP&P cases, each case is fact-sensitive and the Court will consider the totality of the circumstances in assessing whether or not Termination of Parental Rights is the appropriate permanency plan for your child. If you are involved in DCP&P litigation and scheduled to attend a permanency hearing and the Division will be presenting the permanency plan of termination of parental rights, you should contact an experienced DCP&P defense lawyer to discuss your case now at (908)-356-6900.